We’ve seen time and time again, across every channel from Showtime (Dexter) to ABC (Heroes), that network heads are thoroughly reluctant to greenlight definite endpoints for their most popular series and characters. No matter the creative vision of the writers, showrunners, and actors bringing breakout TV icons to life, networks often put limitations on what storylines they can play out. Most frequently, there’s what you might call a no-kill order often at play in planning out series finales. 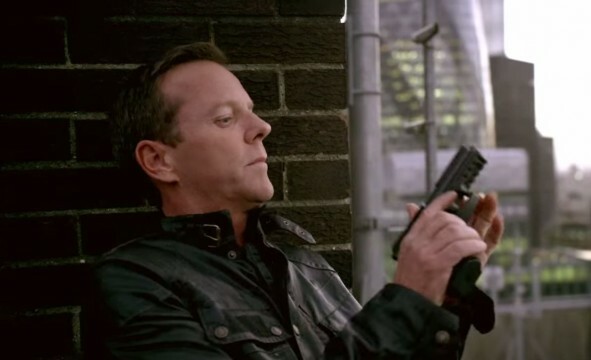 Recently, former 24 showrunner Howard Gordon talked with Variety about a whole host of things, from the influence of the original series to the upcoming 24: Legacy series, and revealed that not only was such an order in place for protagonist Jack Bauer, but that actor Kiefer Sutherland was none-too-happy about this fact. And that certainly seems to be the case here, given that Legacy is moving full steam ahead with Straight Outta Compton breakout Corey Hawkins in the lead role and no (announced) plans for Sutherland to reprise his role. Such a return would be tricky in terms of narrative as well, given that (spoilers here for those of you with far-too-full DVRs) the aforementioned miniseries, 24: Live Another Day ended with Bauer surrendering himself to the Russian government and condemning himself to a lifetime of torture and imprisonment in some hellhole prison, all to ensure the safety of his family and close ally Chloe. So it may well be that Bauer is gone for good this time. How do you feel about that fact, 24 devotees? Would you prefer the character to come back, or is retiring him (alive, dead, or something in between) the better decision?